If the Facebook ‘like’ is a cultural icon then the ‘dislike’ button is pure internet myth. Thousands have petitioned for it, millions have felt an unconscious itch for it and yet Facebook are as likely to introduce one as they are a ‘middle finger’ button. The reason for this according to man who invented the ‘like’ is that giving users the power to let friends know exactly what they thought of their link, photo, status or comment would result in what he rather delicately terms “unfortunate consequences”. Speaking to Tech Radar, former Facebook CTO Bret Taylor said that need for a ‘dislike’ button was actually debated during the creation of the ‘like’ but that the potentially negative fall-out was deemed too great. "The reason we launched the [‘like’ button] in the first place was that there were a lot of times that people wanted to acknowledge something someone did, but didn't have anything to say,” says Taylor. “And a lot of comments were one word like 'cool' or 'wow' so the like button let people did that with a single click. It wasn't really just a sentiment of 'like'." 1 Facebook’s logo is blue because Mark Zuckerberg is red-green colour blind. “Blue is the richest color for me. I can see all of blue," said Zuckerberg in an interview with the New Yorker. The colour is so popular that Facebook’s campus store even sells nail polish in the exact shade named ‘social butterfly blue’. 2 You can browse Facebook upside down. Facebook currently supports more than 70 different languages – including English (Pirate) and English (Upside Down). Check the bottom of the column on the right of your newsfeed and click your current language to change! 4 In July 2006 Zuckerberg turned down a $1 billion offer for the site from Yahoo. He was 22 years old at the time and owned 25 per cent of the company. Zuckerberg reportedly turned it down by saying “I don't know what I could do with the money. I'd just start another social networking site. I kind of like the one I already have.” He definitely made the right choice: Facebook is now valued at $135 billion. 5 Around 350 million photos are uploaded to Facebook every day, with the site estimating in September last year that users had so far put up more than 250 billion images. That’s 4,000 photos uploaded every second and around 4 per cent of all photos ever taken, according to a study by Nokia. 6 Following the financial crisis of 2008 and 2009 Iceland decided to rewrite their constitution using Facebook to solicit suggestions from citizens. Unfortunatelye, despite this forward thinking approach, the document was killed by politicians in mid-2013 for various (mostly technical) reasons. 7 A YouGov poll claimed that three-quarter of UK Facebook users' photos showed someone drinking or inebriated. However, the poll did ask users to estimate the number of boozy snaps themselves, and like all things on Facebook, there might have been an element of exaggeration involved. 8 Zuckerberg isn’t much of a Twitter fan. Despite having nearly three hundred thousand followers on the service he’s only tweeted 19 times - once in 2012 and the rest in 2009. Although Facebook dwarfs twitter in terms of active users (1 billion compared with 200 million by some accounts) the micro-blogging site handles breaking news better. Facebook has introduced trending topics and hashtags to counter this. 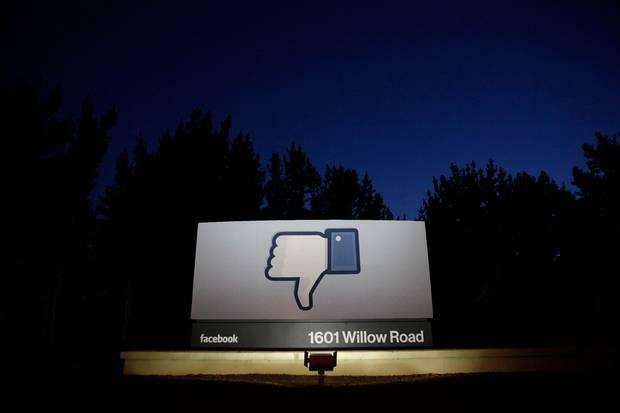 9 Facebook operates a bounty hunter program – for bugs. Like many other big technology companies Facebook offers cash rewards to security researchers who point out flaws in the site’s code. The minimum payout is $500 and the largest prize to date has been $33,500. 10 More than a third of divorce filings in 2011 referenced Facebook, said a survey from UK-based legal firm Divorce Online. The exact figures may be an estimate, but with just under 8 trillion Facebook messages sent in 2013 it’s certain that a substantial body of evidence is to be found on the social network.